Brexit and financial services: Can ‘equivalence’ be achieved? It is no secret that the City of London is a significant pillar of the UK economy. With financial services accounting for around 12% of the UK’s economic output, it generates more tax revenues than any other industry. It comes as no surprise then that the post-Brexit UK-EU relationship relating to financial services is a key consideration for negotiators on both sides of the English Channel. As things stand, the UK has given up on its initial hope that the City of London could hold onto ‘passporting’ – the system that allows a firm to have access to a market consisting of 31 nations if they are based in just one of the member states. The preferred option for the UK is now an ambitious free trade deal that includes ‘mutual recognition’ of closely aligned regulatory standards. This would entail a more dependable framework than what the EU currently offers third countries. The Brexit Secretary David Davis described mutual recognition as an agreement where each side would ‘trust each other’s regulations and the institutions that enforce them’. The UK’s end-goal is to establish a relationship that allows some financial services to diverge away from EU regulations more than others, thereby creating a competitive regulatory advantage for the UK. The latest twist in the negotiation, however, is that Michel Barnier, the EU’s Chief Negotiator, recently rejected the possibility of a ‘bespoke agreement’ that would provide UK financial services with continued, unconstrained access to EU financial markets. ‘The bloc’s priority is to preserve the integrity of the single market, including freedom of movement, and ensure everyone abides by the same rules’. The EU is objecting to this because it wants to preserve the integrity of the single market, and is apprehensive of allowing the UK to cherry pick which regulations it abides by and which ones it moves away from. It is understandable why the EU is so torn over whether to allow the UK to drift away from the existing regulatory landscape. Divergence would mean the EU no longer held sway over a large European financial sector, and whilst it is generally in the EU’s interest to keep the UK’s and Europe’s financial sectors aligned, financial centres in Europe such as Paris and Frankfurt would be keen not to extend equivalence beyond the scope that is currently available so as to potentially steal business away from London. What the EU is offering, therefore, is some form of ‘equivalence’ regime that replaces the existing relationship. A draft of the EU’s negotiating stance, seen by Bloomberg, states that: “Regarding financial services, the aim should be reviewed and improved equivalence mechanisms, allowing appropriate access to financial services markets, while preserving financial stability, the integrity of the single market and the autonomy of decision making in the European Union’. With the British government unwilling to become simply a rule-taker, however, the question remains as to whether an equivalence regime is achievable, or whether the UK will keep pushing the case for mutual recognition. An equivalence regime is one where two trading partners can set their own standards and regulations, but both recognise each other’s regulations as effectively the same. In this case, the EU would only allow UK financial firms to access its market so long as British rules and regulations were deemed equivalent to those of its own. The EU has used this approach for financial services with various other countries outside of the single market, in particular Japan, the USA and Canada, with one example being when the European Commission made an agreement with the US Commodity Futures Trading Commission (CFTC) regarding central counterpart clearing of derivatives, thereby allowing US firms to provide such services in Europe. There are, however, a number of limitations to equivalence. Firstly, the scope of EU equivalence is patchy. Rather than covering all types of financial services, equivalence is available only for the 15 EU acts that contain ‘third-country provisions’. This means that equivalence cannot formally be agreed for a number of important financial services, including deposit taking, lending, payment services, mortgage lending and insurance mediation and distribution. Secondly, the conditions for equivalence will depend on each specific EU regulation. As such, there is currently no uniform process of assessment to determine what equivalence would actually mean for the services covered in each regulation. Thirdly, determining and implementing equivalence is a slow and one-sided process where the European Commission determines whether a country’s rules and supervisory mechanisms are equivalent, with the negotiating partner having little input in the determination process. Finally, equivalence can be altered or withdrawn at any given moment due to a policy change that may occur in Brussels at relatively short notice, which undermines the security of the entire system. An example of this precariousness is the EU’s decision that ongoing equivalence recognition of the Swiss stock market will be conditional on progress towards a new institutional framework. Should the UK reject equivalence, an alternative option is for the UK to stay in the single market by remaining within the European Economic Area (EEA). This option would effectively maintain the passporting rights of financial institutions, but at the cost of accepting all relevant EU rules and regulations without having any say on them (including free movement and the jurisdiction of the ECJ). Despite the fact that the form of the UK’s future relationship with the EU is far from certain, EEA membership now looks unlikely having recently been voted down in the commons. It is for this reason that the UK may try to convince the EU that equivalence should be extended beyond its current form. This would be a significant undertaking for both sides, but it is not impossible. 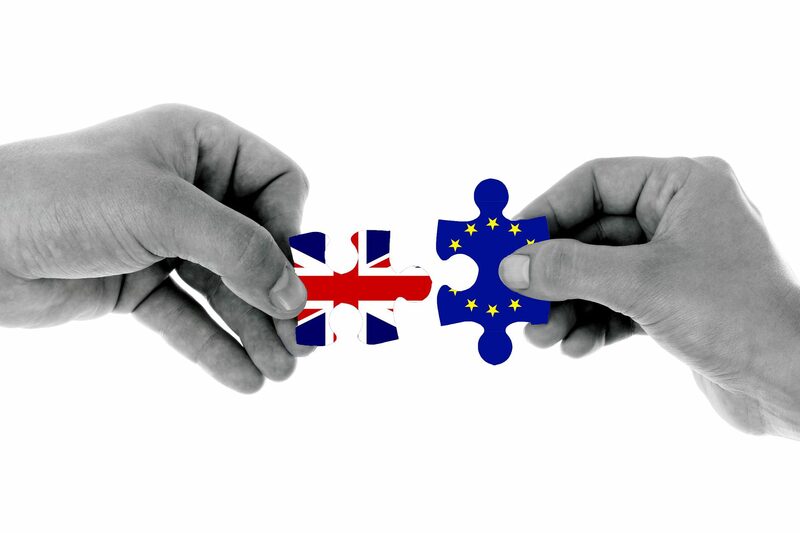 On the day that the UK officially leaves the EU (the transition period is currently set to end on 31 December 2020) regulatory equivalence will remain between both parties where it is possible to do so. If this is extended beyond the existing 15 options, and if a broader, more mutual agreement on how equivalence can be determined is reached, then access to financial services across the EU and the UK could continue unhindered once the UK has left the EU. Whether the political will exists on either side of the channel for such equivalence to be achieved is yet to be determined. What we know for sure is that continued market access between the UK and the EU is in the interests of both sides of the negotiating table.